But, we [in the prior memorandum order] also noted that every federal court to have considered the issue has found the correct standard to be the one used in other civil contexts—that is, a defendant has willfully violated Section 5314 when he either knowingly or recklessly fails to file an FBAR. See, e.g., Williams, 489 F. App’x at 658; Bohanec, 2016 WL 7167860, at *5; McBride, 908 F. Supp. 2d at 1204. That definition contrasts with the one proposed by Bedrosian, which is that in order for the government to sustain a willful FBAR penalty, it must meet the standard used in the criminal context and show that his actions amounted to a voluntary, intentional violation of a known legal duty. See Cheek v. United States, 498 U.S. 192, 201 (1991). Although on summary judgment we declined to hold what the appropriate standard of willfulness was, we indicated that the civil standard stood on far stronger precedential footing. Consistent with those dicta, we now hold that Section 5321’s requisite willful intent is satisfied by a finding that the defendant knowingly or recklessly violated the statute. The government need not prove improper motive or bad purpose. This is a bit muddled in my mind -- although I confess some muddlement in my mind because I write this while drinking a Guinness. I think the court may mean (although not expressly articulating it) that the intent to violate a known legal duty is the standard but that reckless conduct can satisfy that standard. I think that is oxymoronic and probably will write on it later. 9. The Court then further muddles (in my mind) the willful blindness concept. Willful blindness is, I think, mainstream thinking even in a criminal case where the statute requires willfulness (e.g., tax crimes a la Cheek). But, it still boggles my mind how something that is not intent to violate a known legal duty can rise to that intent because it is reckless. Oh well, I have said too much in prior blog entries on this issue. But using that relaxation of the willful specific intent standard, the Government would have a much better case. At trial and in his trial brief Bedrosian acknowledged that we were likely to conclude that the civil standard of willfulness applied, and he focused his advocacy on the argument that his actions were far less egregious than those of defendants found liable in other cases for willfully violating the FBAR requirement. He summarized the facts of three cases in which the willful penalty was imposed and compared them to his own conduct, contending that the record did not support a finding that he had acted with the requisite intent. The government countered with evidence intended to show that Bedrosian was well aware that his 2007 FBAR was inadequate, such as his business acumen, the fact that Handelman had told him in the mid-1990s that his failure to report his Swiss accounts was illegal, and various indicia that he knew that he had two accounts at UBS rather than just the one that he reported. The government additionally argued that even if it was true that Bedrosian did not know he had two accounts at the time he filed his 2007 FBAR, he easily could have gotten that information by reaching out to UBS. After a careful review of the record, the trial transcript, and the parties’ post-trial briefing, we cannot conclude, based on a comparison of the facts of this case compared with those of cases in which a willful FBAR penalty was imposed, that the government has proved, by a preponderance of the evidence, that Bedrosian’s violation of Section 5314 was willful. In other words, a failure of proof. Technically, from a trial lawyer's perspective, the Court appears not to have had evidence sufficient to find either the presence or absence of willfulness. Rather, on the record presented, the court was in equipoise and thus held against the Government because it had failed to meet its burden of persuasion (proof) to show that Bedrosian's failure to report the large account on the FBAR was willful. 12. The district court did find Bedrosian credible but he did not state that he was credible enough to establish nonwillfulness -- just credible enough to show that the Government's "proof" was not persuasive by a preponderance of the evidence. 13. The Court then distinguished the cases the Government had won. f. The Limits of Burden of Proof. n2360 In doing so, the judges often cite the cases cited in the preceding footnote to this text or cases with the applicable circuit’s variation of this theme. Estate of Jorgensen v. Commissioner, 2011 U.S. App. LEXIS 9203 (9th Cir. 2011) (“When, as here, the tax court decides the case based on the preponderance of the evidence and without regard to presumptions of correctness, § 7491's burden-shifting is simply not relevant”); see also Scheidelman v. Commissioner, 755 F.3d 148 (2d Cir. 2014) (burden of proof shift under § 7491 is immaterial because the position sustained is “more persuasive, regardless of the burden of proof”) . Moreover, if a trial judge does not expressly say that he is not in equipoise, a court of appeals may effectively so determine by saying that the allocation of the burden of persuasion did not affect the decision. See e.g., Whitehouse Hotel Ltd. Partnership v. Commissioner, 615 F.3d 321, 332-333 (5th Cir. 2010) (“there is no indication that the tax court's decision turned on the allocation of the burden”). I note again how clever the court was in making the conclusion bullet proof on appeal. The Court accepted the Government's key legal arguments about de novo proceeding and the preponderance of the evidence burden of persuasion and then made the key factual findings, mostly based on credibility determinations, which, on appeal can be reversed only if clearly erroneous. Finally, I throw out some thoughts that come to mind. 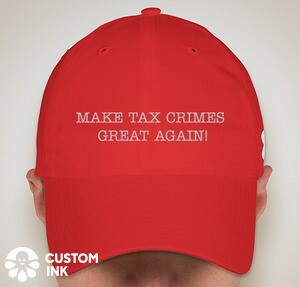 In the civil tax arena where penalties are involved, there are essentially two burdens of persuasion -- the preponderance of the evidence standard for the accuracy related penalty and the clear and convincing standard for the civil fraud penalty. For the civil fraud penalty, the Government must first prove by clear and convincing evidence that some portion of the understatement is attributable to fraud, whereupon all of the understatement as to which the IRS has asserted the civil fraud penalty will apply unless the taxpayer establishes by a preponderance of the evidence that some portion is not attributable to fraud. § 6663(b). In contrast, for the accuracy related penalties in § 6662, the taxpayer has the burden of persuading the trier that the penalty does not apply so long as the Government has met a burden of production as to the application of the penalty. Conceptually, evidence required to meet a burden of production is much lower than evidence required to meet a persuasion burden by a preponderance of the evidence. So, the Court seemed to be persuaded that the willfulness standard for the FBAR penalty was more akin to penalties that do not require the clear and convincing burden of persuasion (such as the civil fraud tax penalty) but more like an ordinary civil penalty. But, if the court had assigned the burden of persuasion in the manner that the civil tax penalty is assigned, Bedrosian would have lost because the evidence introduced by the Government certainly would have met a production burden. In that case, if the court were in equipoise and, as in civil tax cases, the party bearing the burden loses, Bedrosian would have lost. I guess what I am saying is that there is a differentiation in the assignment of the burden of persuasion for civil penalty purposes between tax and other penalties.